Headlines, hot news, and conversation starters on January 23, 2018! 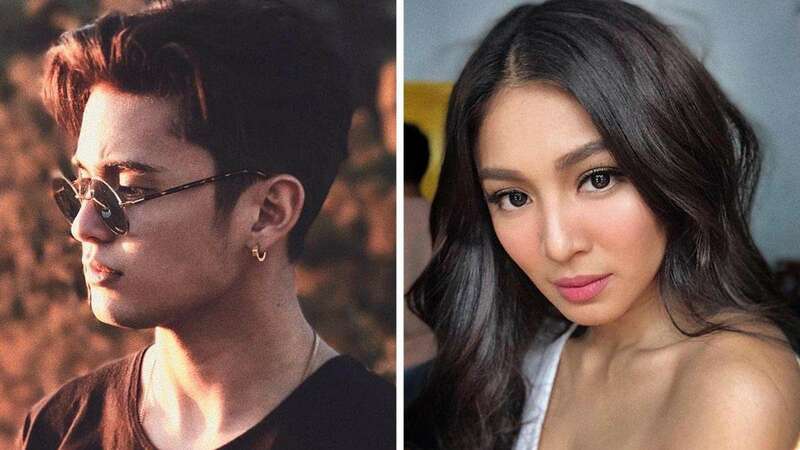 Recently, rumors circulated that James Reid was reportedly the cause of the cancellation of the January 13 shooting of his latest movie with girlfriend Nadine Lustre, Never Not Love You. James was reportedly drunk on set, which forced the crew to pack up. But in a recent video interview with Darla Sauler, James cleared his name, saying: "Actually, I didn’t even know about that issue until today. I didn’t know about it. For one, I wasn’t drunk." Nadine also explained that the main reason why it was canceled was that she was sick: "Kasi ang reason talaga kung bakit na-pack up 'yung shoot, kasi may sakit ako. Uncalled for talaga siya. Kasi Saturday night pa lang, nag-start na akong lagnatin, tapos headache, tapos back pain. 'Yung hindi talaga ako makagalaw, 'yung kitang-kita niya [James] 'yung naiiyak-iyak na ako halos, kasi ang sakit talaga nung likod ko," she said. Scarlet Snow Belo is truly a ~*fabulous*~ little girl! Her big sister, Cristal Belo-Pitt shared a video of the two-year-old with her own "glam team." Daddy Hayden Kho blow dries her hair with the help of one yaya, as another yaya brushes her teeth. Can we also talk about how cute her bagong-gising face is? Richard Gutierrez celebrated his birthday in the most low-key way: He had cake in a dimly-lit restaurant with his fiancée Sarah Lahbati and son Zion. "Sometimes the simplest birthdays are the best ones," he wrote in his IG post. Here's another country you can add to your travel bucket list: Rwanda! The country just granted visa-free entries for Filipinos, with a maximum stay of 90 days. On the other hand, Rwandans can visit our country without a visa within a 30-day period. The University of Santo Tomas Alumni Association (USTAAI) granted Communications Assistant Secretary Margaux "Mocha" Uson a UST Alumni Award for exemplary public service, and it has caused so much controversy. The UST Faculty of Arts and Letters and Alliance of Concerned Thomasians Alumni Association (ACT-Now) said that USTAAI should withdraw Uson's award. The UST Student Council also denounced it. Because of the backlash, the USTAAI will hold an emergency meeting to discuss the issue. Henry Tenedero, the organizations' head, said in an interview with Philippine Daily Inquirer that there will deliberation among other members about Mocha's award.